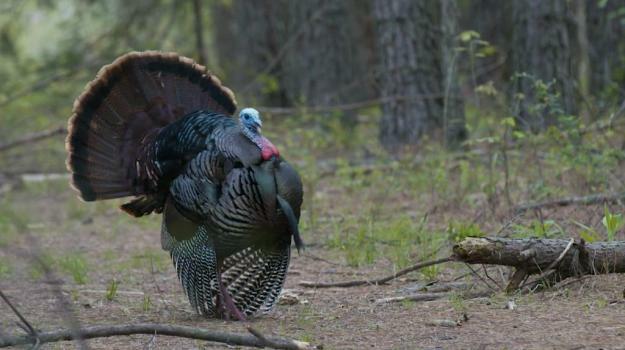 Let’s face it, if you have a problem with your food plots being browsed-down by the time hunting season begins, the problem is likely that you have too few food plot acres for your deer density – simply put, you have too many mouths to feed and not a big enough “kitchen.” Here are some tricks to help you save some of that attractive forage for when you decide to “ring the dinner bell.” However, the cure for the problem is aggressive doe harvest and/or increasing your food plot acreage so you overwhelm your herd with abundant forage. Including another food plant that is also attractive or a cover source that grows taller and helps shield the lower growing plants can help deflect pressure. Planting oats or wheat with clover is a prime example. Blends like Premium Perennial and Perfect Plot are designed with this in mind and come already mixed with brassicas and cereal grains that provide a nurse crop that helps to protect the clovers and chicory. Deer feed on the taller, faster-growing brassicas and grains while the clover and chicory establish themselves. For warm season annuals corn, sorghum, or sunflowers can be combined with cowpeas, lablab, soybeans, or BioLogic’s BioMass all Legume. The taller plants will help shelter the legumes until they can withstand browsing pressure. This is a fertilizer made from bio-solids left after processing sewage sludge. It really doesn’t smell as bad as you may think, but deer do not like it. 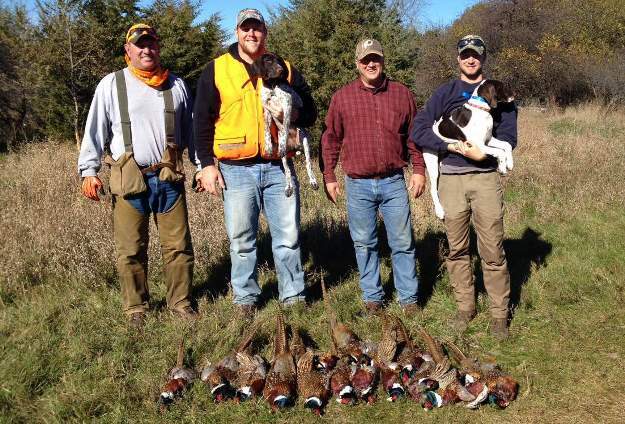 It can lose its sting after a while, but after the initial application it has fair success at repealing whitetails. The University of Georgia tested Milorganite-treated soybean plots against untreated ones and found after three days, 54% of untreated plants were browsed while only 24% of those treated with Milorganite were browsed. At day 20, the proportion was 59% of the treated plants were hit, versus 99% untreated. It is recommended to re-apply after 15 days. BioLogic’s P2 Plot Protector Kit includes enough ribbon to go around an entire acre (or two ¼ acre plots) and enough formula to treat it for 90 days (each also sold separately). This system is economical and works well. It is suggested to erect one strand at 30 inches high and another one at 15 inches off the ground. 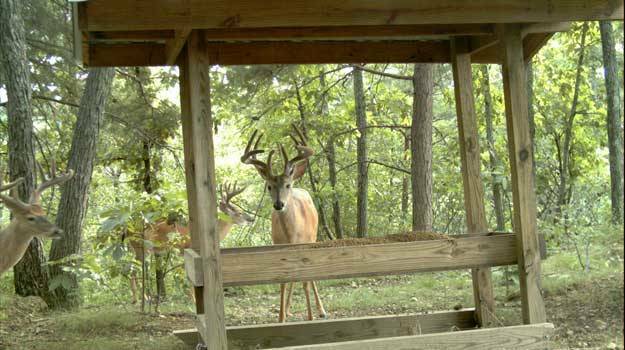 The P2 kit won’t solve your problem of too many deer, but it can help protect the plot to help it reach a more established age when it will last you longer into the season. A simple fence can dissuade activity for a short while. Or, depending upon how strong and complete you build it, keep deer out completely forever. The mesh or strands need to be tight enough so they can’t squeeze through and tall enough so they can’t jump over. A wire or poly mesh bottom at least 4 feet high is a good start, and then either another section of mesh on top of that, or strands of wire, rope, twine or ribbon strung above that to give the appearance it’s too high to jump over. Poly mesh products 7 or 8 feet tall are available relatively inexpensive; however, for large food plots it’s very labor intensive. 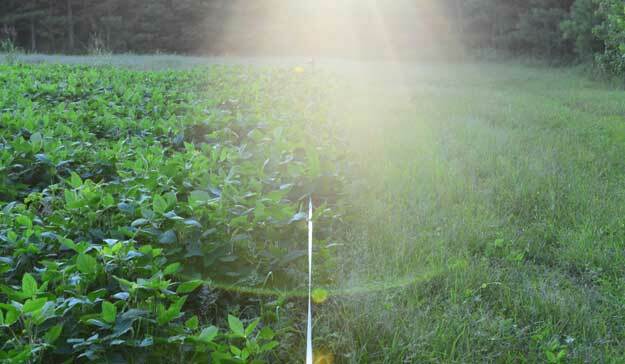 A well designed electric fence is the most effective and efficient method for keeping deer out of a food plot. If a manager has the permanent problem of too many mouths and not enough food plot acreage, an electric fence is the best solution. They are a bit more expensive than our other choices, but they are also most effective. While a single strand may work for a while, a staggered two or three wire perimeter will keep out everything from whitetails to hogs and bears. The staggered method gives both, the obvious electric shock and the confusion of depth-perception difficulty. Unless you’re going to fence off the entire plot in a “zoo-quality” wire enclosure, electric fencing is the best permanent solution. Removing a sufficient number of does is an important part of any deer management plan but just as important is limiting the accidental take of young, antlerless males or button bucks (BBs). Here’s a few tips to help you avoid thinning out future trophies before they’ve had a chance to realize their potential.